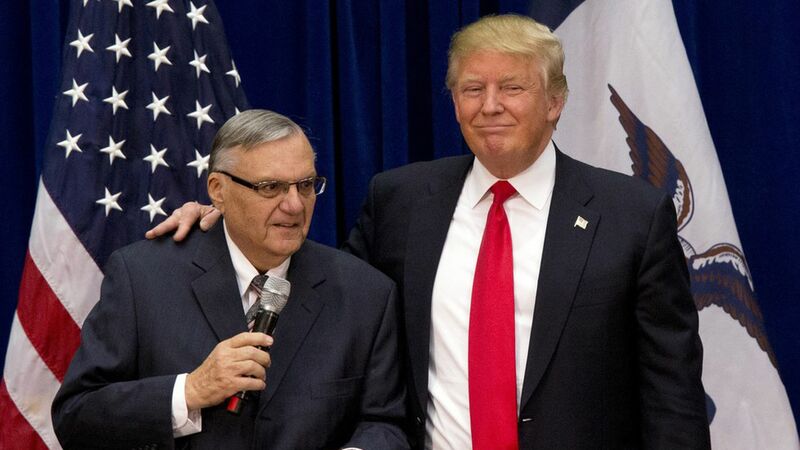 The Washington Post's Philip Rucker and Ellen Nakashima report, citing three sources familiar with the situation, that before Sheriff Joe Arpaio's case went to court earlier this year, President Trump asked Attorney General Sessions whether it would be possible for the federal government to drop the charges. Sessions said that would be inappropriate, per the report, so Trump "decided to let the case go to trial, and if Arpaio was convicted, he could grant clemency." The quotes: One Trump associate said the president was "gung-ho about it," while a White House official said, "We knew the president wanted to do this for some time now and had worked to prepare for whenever the moment may come." The case: Contempt charges for declining to stop profiling people he suspected of being illegal immigrants. One take, from CNN's Andrew Kaczynski: "POTUS decided he'd pardon Arpaio before case even went to trial. Imagine what will happen with Flynn."